Mark Reckless pays tribute to his Chatham and Aylesford colleague Tracey Crouch and campaigners for their tireless work on introducing a scheme to make it easier for mesothelioma sufferers to access compensation. Mark supported the Bill, calling for higher levels of compensation for sufferers of this terrible illness and increased funding for research into trying to discover a cure or suitable treatment for those affected. 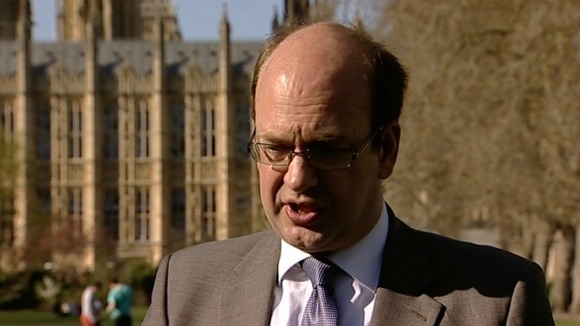 Writing ahead of his debate, Home Affairs Committee member Mark Reckless tells Central Lobby why he is calling for PCCs to replace ACPO within a year. Democracy rests on the proposition that law is made by the representatives of voters. If the voters do not like the laws, they can throw out their representatives and choose new ones. In reality, the rules that govern us are often not made by Members of Parliament or other elected figures. Rather, laws are determined by a panoply of apparatchiks and quangos that decide, immune from the wishes of the electorate, how the people shall be governed. Few areas of policy are more important than how the police operate. Historically, the police have been directed by ‘guidelines’ issued by the Association of Chief Police Officers (ACPO) – telling the police, on a national basis, how they should behave and what policy directives they should follow. ACPO stood alongside the variety of quangos who, as Daniel Hannan and Douglas Carswell identified in The Plan, posed a challenge to the restoration of our democracy to good health. Daniel and Douglas pushed strongly for there to be locally elected sheriffs – now known as ‘Police and Crime Commissioners’ – who would take the role of ensuring that local policing is both accountable and tailored to local needs. ACPO, however, was eager to defend its fiefdom. Its leader, Sir Hugh Orde, threatened to resign rather than see the police become democratically accountable. However, the legislation for Police and Crime Commissioners (PCCs) was passed and elections were held in late 2012. Admittedly, turnout in those elections was low. There have been, notably with Ann Barnes in Kent, significant mistakes made by PCCs. However, for the most part, PCCs are beginning to find their feet and play an important role in police accountability. I am optimistic that PCCs, in the long term, will be successful in bringing a careful degree of local accountability to the police service. Given this sea change in how the police are held accountable, ACPO has become increasingly redundant. As General Sir Nick Parker pointed out in his independent review of ACPO, the organisation has a ‘complex and unorthodox’ structure as a private company and lacks transparency and accountability. We should not pay over £4 million every year to maintain an organisation that often serves to undermine the democratic independence and legitimacy of locally elected PCCs. That is why I am hosting this Westminster Hall debate to examine ACPO and assess whether Parliament supports proposals being considered by PCCs to wind down ACPO, with only a further year’s transitional funding made available for this purpose. Empowering PCCs, rather than the entrenchment of the police establishment, is the best pathway to restoring democratic faith in policing. Mark Reckless, MP for Rochester and Strood, debates prison sentencing with former Liberal Democrat leader Charles Kennedy and calls on the government to ignore the European Court and maintain whole-life sentencing for the most heinous crimes, saying life should mean life. 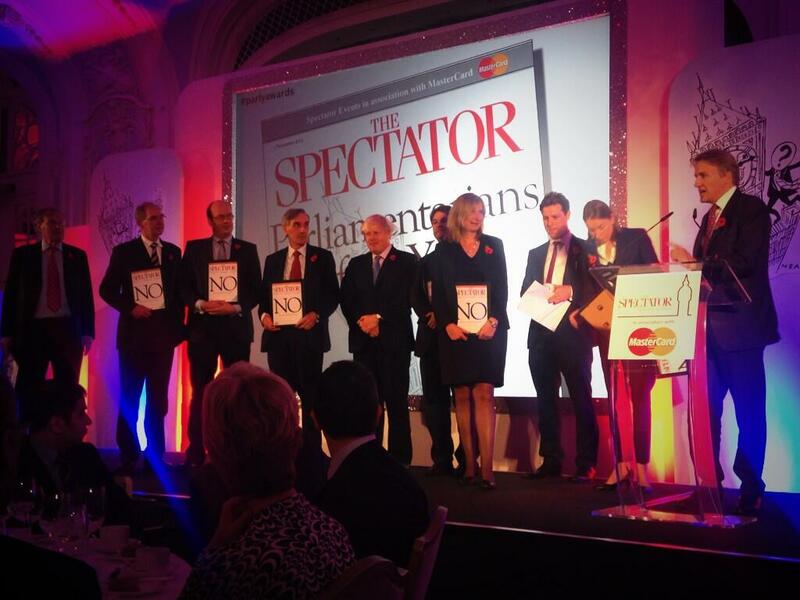 Mark Reckless was honoured today when he, along with 14 other Members of Parliament, was awarded the title of joint ‘Parliamentarian of the Year’ in The Spectator’s 27th Parliamentarian of the Year Awards. In a break from tradition, the title this year was awarded jointly to the 15 MPs, described by The Spectator as ‘The Glorious 15’, who went through the ‘No’ lobby in principled and historic opposition to state regulation of our press. Mark believes that a free democracy requires a free press to hold politicians to account. This is why Mark voted against statutory underpinning of press regulation and exemplary damages to punish anyone who does not comply, believing that it is better to have a free but flawed press rather than a press which is at the mercy of errant celebrities and their political cronies. The Director of Public Prosecutions (DPP), Keir Starmer QC, came to see us yesterday at the Home Affairs Select Committee for what is likely to be his last appearance before us. Mr Starmer has gone some way to open up the Crown Prosecution Service (CPS) to greater scrutiny by explaining and reviewing decisions. That is very welcome but the DPP has had greater difficulty accepting the reason why this is necessary – that the CPS sometimes gets things wrong. The CPS must be right to have brought a case if it is not struck out at half time by the judge for giving ‘no evidence’. This despite the media criticism in the Le Vell case being that there was ‘no corroborating evidence’ and the requirement for the CPS to prosecute being ‘sufficient evidence for a realistic prospect of conviction’ (and it being in the ‘public interest’). When a case is ‘reviewed’ and a prosecution decision is reversed, neither decision can be considered wrong and, despite this partly depending on whether there is a complaint, celebrities are treated exactly the same, as if every case is reviewed by his principal legal adviser Alison Levitt QC. Were I to suspect him of criminality in office I should take this to the police, and not just leave it to the Bar Standards Board, although when there is sufficient evidence to prosecute doctors for gender selective abortion, that is not in the public interest because the General Medical Council can be left to deal with it. Failure by the police and CPS to prosecute anyone for gender selective abortion for over five years, including in a high profile case where the CPS agrees there was ‘sufficient evidence for a realistic prospect of conviction’, will make no difference to the number of girls aborted. Unfortunately, I did not have time to follow up with the DPP on the first issue on which we crossed swords two years ago. That was when the CPS impeded the Metropolitan Police from prosecuting more journalists for phone hacking by advising them that they would have to prove that the message was hacked before the recipient first listened to it. That utterly wrong and deeply damaging CPS advice for which we can blame the whole Leveson circus was finally ruled against by the Court of Appeal last month. We are still waiting for any apology from the CPS.